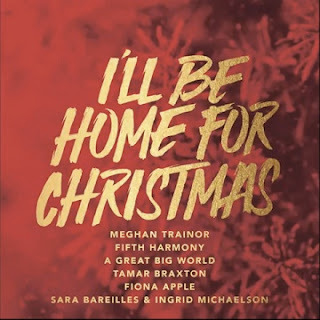 After re-recording of Mariah Carey’s "All I Want For Christmas Is You" by Fifth Harmony, Epic Records revealed this morning (17) another new Christmas single from Meghan Trainor. "I'll Be Home" is the title track of the new Christmas album, which also includes an unreleased song from Sara Bareilles in collaboration with Ingrid Michaelson and Fifth Harmony, Fiona Apple, The Great Big World and Tamar Braxton. The album is slated for release on November 24.